Halti Head Collars are Designed to combine Maximum Steering Control and Comfort for your Dog. If you have a large powerful dog or one that pulls on the lead, you will know how exhausting walks can be. All dogs can pull on the lead to the point where they choke themselves. 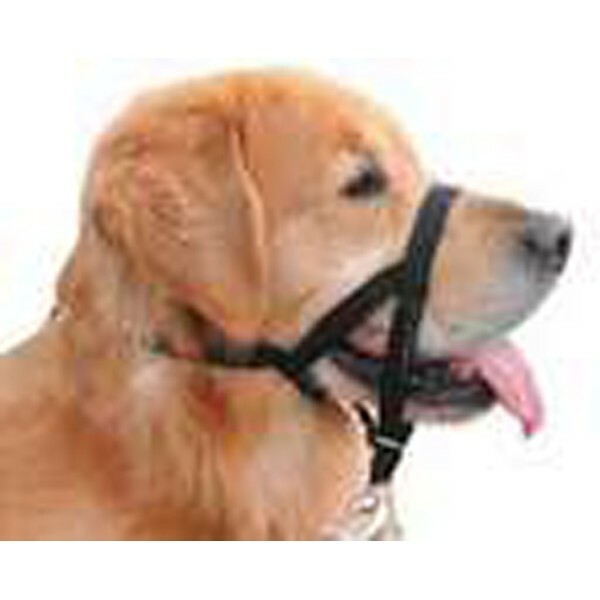 The Halti Head Collar has no Metal Parts in Contact with the Dog's Skin, and the point of Steering Control is below the nose and away from the Dog's eyes. A particular feature of the Halti not shared by other designs of head collar is that it has an on-off muzzling effect so that potentially aggressive dogs are inhibited from biting. But when your dog is relaxed or friendly the Halti allows your dog to pant easily and act like a normal dog on a walk with it's owner. The Halti Head Collar is available in six sizes and for dogs with sensitive noses such as Boxers or Shar Pei's we recommend you buy a padded halti. 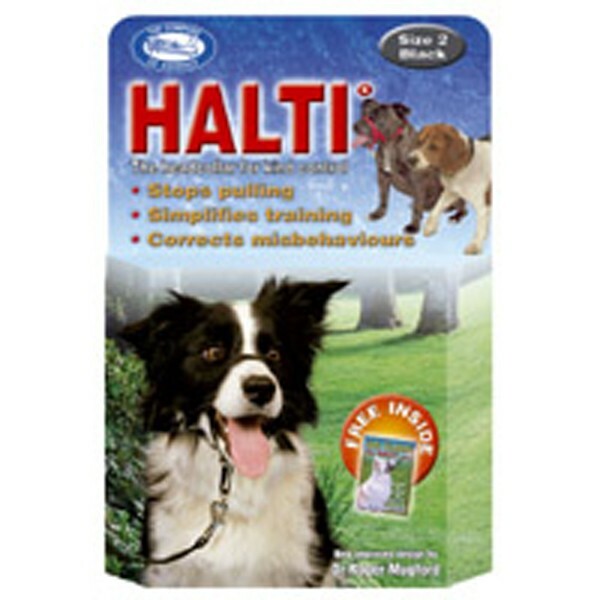 The Halti makes training and behaviour modification of dogs practicable and safe! - Free 20 Page Training Booklet included!